If you have plans to spend a relaxing weekend playing Bitcoin casino games and are wondering where to do so, we have a few suggestions to help you make up your mind. If you’re looking for a place where huge jackpots are possible, BitStarz Casino has a slot machine that just paid out a massive prize. And if you’re not one to chase after big wins, Drake Casino will give you a shot at winning smaller prizes through its new monthly competition. Read more about these fresh updates further down below. Proving that it’s a casino where you can “Dream Big. Win Bigger”, BitStarz Casino pays out another huge jackpot prize to one of its players. The win was revealed yesterday on the casino’s official blog where BitStarz shared details about one of its biggest payouts in 2018. 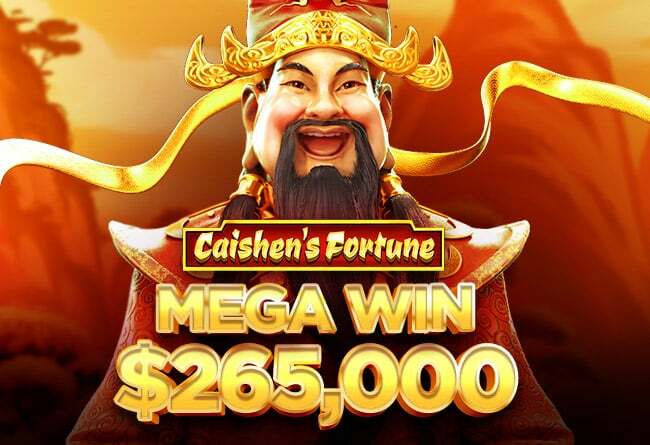 The jackpot was taken by an undisclosed player on none other than IGT’s Caishen’s Fortune slot. 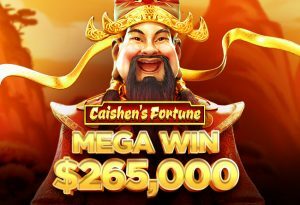 A 5-reels game that celebrates the Chinese god of prosperity with free spins bonuses, wild multipliers, and a lucrative pay table, the Caishen’s Fortune proved to be a great choice for BitStarz’ mysterious winner. “Riding a wave of red and gold”, this lucky punter hit a $265,000 prize within a few spins in the game. Although this game definitely has the potential to hand out big cash prizes, it certainly isn’t the only slot in BitStarz’ portfolio that can pay well. Namely, BitStarz has one of the biggest game collections around, counting over 1,200 different casino games. Apart from IGT slots, the casino also packs dozens of games from other leading game makers like NetEnt, Yggdrasil, BetSoft, Habanero, and Pragmatic Play. To see the full extent of the portfolio and try your luck at becoming the next hall-of-famer, make sure to check out BitStarz casino. Every month, Drake Casino launches a new slot competition for its players with a fixed prize pool of $5,000. And this month, the casino has chosen the Panda Planet slot from Arrow’s Edge as the game that could unlock some extra cash prizes. The Panda Planet is an animal-themed slot game with 5 reels and 1,024 ways to win. The slot is loaded with bonus features, offering everything from free spins rounds and expanding wilds to Colossal Spins and 2 types of jackpot prizes. Thus, even if you don’t get to climb that far up the leader-board to earn one of the competition prizes, you still have a big shot at earning some nice profits on this game. The monthly competition has 14 prizes and they can be won by playing the slot game with real wagers. The luckiest player will get to win a prize of $2,000 while places 2-4 will get prizes of $1,000, $750, and $250, respectively. And players who end up on the last 10 positions on the leader-board will each win a prize of $100, which will be paid after the end of the month when the tournament ends. If you’re up for the challenge, you can check out the game and learn more about the tournament rules by paying a visit to Drake Casino.